A few weeks ago forum member and GandT Fishing School proprietor Graham Knight (Knighty) placed a post onto the Fishing Townsville Forum for any info on a cheap tinnie that might be available somewhere around town. 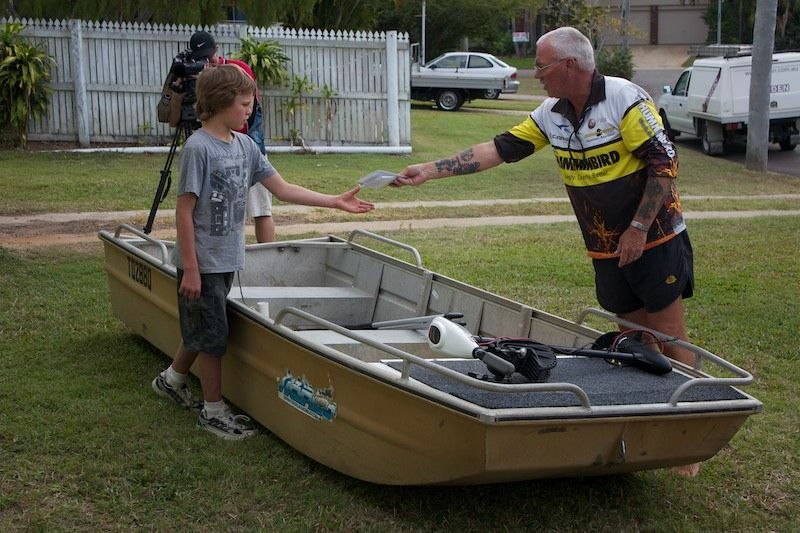 The request was for a young 12yo kid from Giru named Blake who had had his boat stolen just days after purchasing it! When members learned the very keen young bloke had save up the money himself, they decided not only to point Graham in the direction of the right boat...but to take up a collection to raise the finds too! The end result was all presented to the young bloke on Sunday afternoon with a thankyou BBQ and drinks at Graham's place. The family was incredibly grateful and young Blake now has a big smile back on his face! What started off as a simple request for info on where to find a cheap seconhand boat turned into a wonderful community spirit story. All thanks to the friendly members we have on the Fishing Townsville Forum. 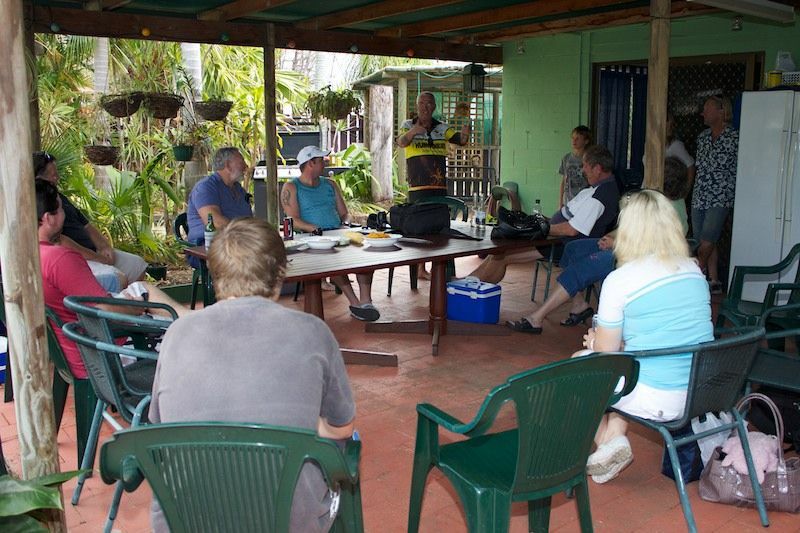 And a big thanks (I think ... lol) to Pommyupnorth for organising the Channel 7 News crew!